Ranju Alex is the General Manager of the JW Marriott Kolkata and Multi Property Vice President East India. Prior to this appointment she was the General Manager of Goa Marriott Resort & Spa. Ranju was the first lady to lead the team in the entire 14-year tenure of the property. She joined Marriott International in the year 2010 after being the officiating GM at the Oberoi Grand Hotel, Kolkata. She moved to Goa after completing a successful tenure with the first Marriott property in Pune as the GM of Courtyard by Marriott, Pune Hinjewadi. In her current role, Ranju is responsible for overseeing all aspects of operational and strategic management of the Goa Marriott Resort & Spa. Her intrinsic traits to pay attention to detail and make critical judgments have undoubtedly led to a refreshing transformation in the services and facilities for the property. In almost all areas of the hotel, be it the products, people or processes, the drastic transformation in tangible scores of relevant parameters has managed to make the property a shining star for all that the Marriott brand embodies. 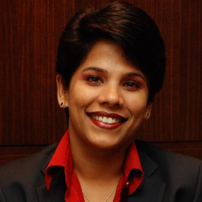 Ranju brings with her close to two decades of experience in hotel management and operations. In her earlier stints, Ranju has served as the General Manager of Goa Marriott Resort & Spa, Marriott Oberoi Grand Hotel, Kolkata and more recently, at Courtyard by Marriott, Pune. A Diploma holder in Hotel Management, Ranju is an alumnus of IHM Kolkata. She is also a gold medalist from the Oberoi Centre of Learning & Development (OCLD). Being an operations person and having grown through the ranks, Ranju’s prime credo has always been guest satisfaction of the highest possible degree. She leads her team by example, by personally interacting with guests in a manner that can only be described as warm, hospitable and affectionate. Ranju has admitted that despite her outstanding qualifications and training, this approach and conduct is something that truly comes from her heart. She attributes a large part of this to being a woman, and strongly believes that if there’s anything challenging to be achieved, there is a special strength that only a woman can bring to the table. Ranju is passionate about the domain of women’s empowerment, the role and scope of women in today’s age and believes that women are as capable as men or even more in all spheres of life and commerce. She is passionately involved with WEConnect International, a forum which has been formed for the upliftment of women entrepreneurs. A wholehearted advocate and supporter of this organization which seeks to promote and expand the scope of women at the fore of commerce and industry today, she regularly attends the monthly calls and contributes her views and opinions on the women workforce scenario today, as well as feedback and suggestions on ways to lead and organize the development potential of this sector. She was designated the official representative of Marriott India due to her exemplary performance in Courtyard by Marriott, Pune Hinjewadi as well as Goa Marriott Resort & Spa, a fact that was documented by a spectacular ‘All K Balance Scorecard’ for both properties (K being the highest index of success for all 4 performance areas the company evaluates for every hotel), this degree of attainment being characteristic of the women achievers that WEConnect is a global platform for.